Even though Hawking recently passed away, his influence is still being felt. Shortly before his death, Hawking submitted a paper offering his final theory on the origins of the Universe. The paper, which was published earlier this week (on Wednesday, May 2nd), offers a new take on the Big Bang Theory that could revolutionize the way we think of the Universe, how it was created, and how it evolved. The paper, titled “A smooth exit from eternal inflation?“, was published in the Journal of High Energy Physics. The theory was first announced at a conference at the University of Cambridge in July of last year, where Professor Thomas Hertog (a Belgian physicist at KU Leuven University) shared Hawking’s paper (which Hertog co-authored) on the occasion of his 75th birthday. According to the current scientific consensus, all of the current and past matter in the Universe came into existence at the same time – roughly 13.8 billion years ago. At this time, all matter was compacted into a very small ball with infinite density and intense heat. 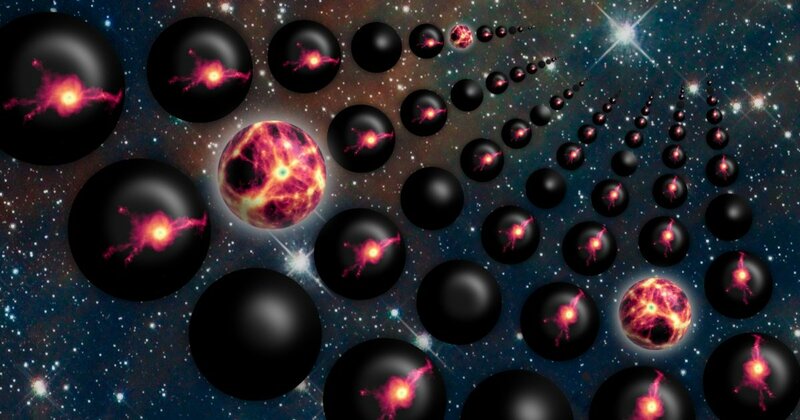 Suddenly, this ball started to inflate at an exponential rate, and the Universe as we know it began. However, it is widely believed that since this inflation started, quantum effects will keep it going forever in some regions of the Universe. This means that globally, the Universe’s inflation is eternal. In this respect, the observable part of our Universe (measuring 13.8 billion light-years in any direction) is just a region in which inflation has ended and stars and galaxies formed. 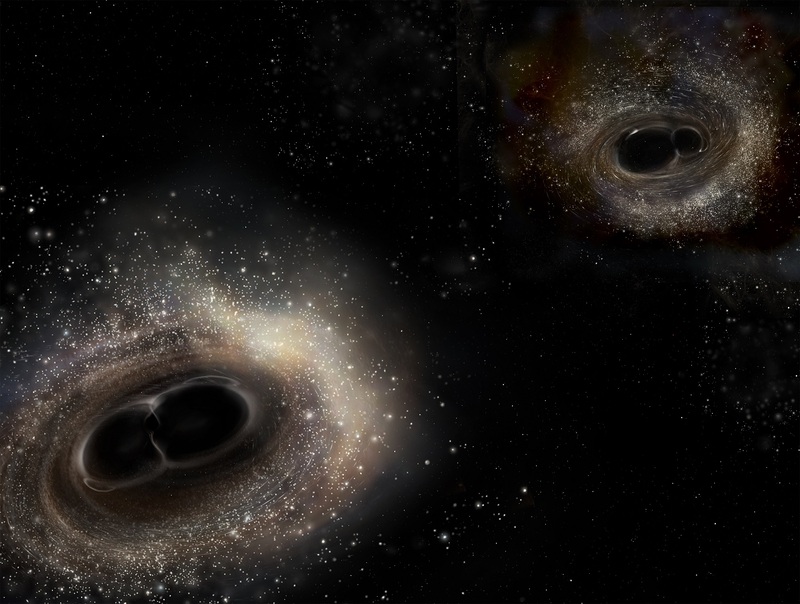 In contrast to this, Hawking and Hertog offer an explanation based on String Theory, a branch of theoretical physics that attempts to unify General Relativity with quantum physics. This theory was proposed to explain how gravity interacts with the three other fundamental forces of the Universe (weak and strong nuclear forces and electromagnetism), thus producing a Theory of Everything (ToE). To put it simply, this theory describes the fundamental constituents of the Universe as tiny, one-dimensional vibrating strings. Hawking and Hertog’s approach uses the holography concept of string theory, which postulates that the Universe is a large and complex hologram. In this theory, physical reality in certain 3D spaces can be mathematically reduced to 2D projections on a surface. Together, Hawking and Hertog developed a variation of this concept to project out the dimension of time in eternal inflation. This enabled them to describe eternal inflation without having to rely on General Relativity, thus reducing inflation to a timeless state defined on a spatial surface at the beginning of time. In this respect, the new theory represents a change from Hawking’s earlier work on “no boundary theory”. Also known as the Hartle and Hawking No Bounary Proposal, this theory viewed the Universe like a quantum particle – assigning it a wave function that described all possible Universes. This theory also predicted that if you go back in time to the beginning of the Universe, it would shrink and close off like a sphere. Lastly, it predicted that the Universe would eventually stop expanding and collapse in on itself. Using this theory, Hawking and Hertog were able to derive more reliable predictions about the global structure of the Universe. In addition, a Universe predicted to emerge from eternal inflation on the past boundary is also finite and much simpler. Last, but not least, the theory is more predictive and testable than the infinite Multiverse predicted by the old theory of eternal inflation. “We are not down to a single, unique universe, but our findings imply a significant reduction of the multiverse, to a much smaller range of possible universes,” said Hawking. In theory, a finite and smooth Universe is one we can observe (at least locally) and will be governed by physical laws that we are already familiar with. Compared to an infinite number of Universes governed by different physical laws, it certainly simplifies the math! Looking ahead, Hertog plans to study the implications of this theory on smaller scales using data obtained by space telescopes about the local Universe. In addition, he hopes to take advantage of recent studies concerning gravitational waves (GWs) and the many events that have been detected. Essentially, Hertog believes that primordial GWs generated at the exit from eternal inflation are the most promising means to test the model. Due to the expansion of our Universe since the Big Bang, these GWs would have very long wavelengths, ones which are outside the normal range of the Laser Interferometry Gravitational-Wave Observatory‘s (LIGO) or Virgo‘s detectors. However, the Laser Interferometry Space Antenna (LISA) – an ESA-led plan for a space-based gravitational wave observatory – and other future experiments may be capable of measuring them. Even though he is longer with us, Hawking’s final theory could be his profound contribution to science. If future research should prove him correct, then Hawking will have resolved one of the most daunting problems in modern astrophysics and cosmology. Just one more achievement from a man who spent his life changing how people think about the Universe!